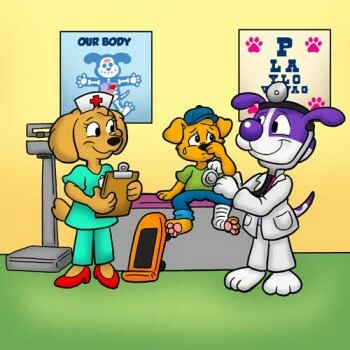 PetSaver CPR & First Aid Training: Instruction in advanced CPR techniques & First Aid skills, Dental Care, and the General Health and Wellness of Dogs and Cats. 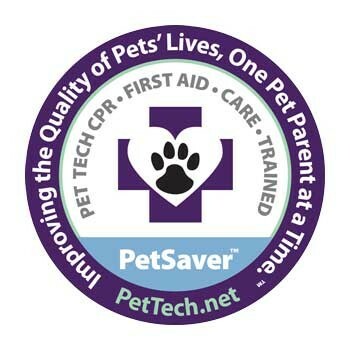 The PetSaver CPR & First Aid Workshop includes a lecture presentation (with slides), comprehensive instruction by a professional instructor in various Pet Care techniques, and multiple hands-on exercises. Throughout the day, students are individually evaluated on a variety of skills to demonstrate proficiency and knowledge of the covered material. Upon course completion, participants receive certification in Pet CPR & First Aid for a period of (2) two years. Training begins promptly at 9:00am and lasts approximately 8 hours (or until all course material has been covered). Light snacks and refreshments are provided, but it is strongly recommended that attendees bring a bagged lunch as there may not be adequate time to leave the training facility during break(s). Class sizes are limited to a maximum of 15 seats, and each enrollment includes a 42-page program guide and complimentary emergency muzzle. *To learn more about what each class entails and view a calendar of upcoming events, please search for PetSaver courses in Essex, MD (21221) by clicking here.